“To me, a profound excitement during a couple of days in Bhutan has been the sense of strength, identity and the clarity of thoughts and aspiration the country is pursuing. 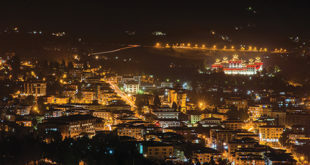 Since Bhutan’s democracy is more than a decade old, during my first day we launched the Bhutan National Human Development report to reflect on the country’s journey and democracy as an integral to the development future of the country,” said the UN Administrator, Achim Steiner who also co-chaired the RTM. The UN administrator said that he was struck by something which is very rare in this world—sense of common purpose and direction within which differences in strategies, approach, and actions do not create division but rather a wider perspective with which to judge decisions that need to be made. The foreign minister, Lyonpo Tandin Dorji said that one of the key highlights of the UN administrator’s visit to Bhutan was the Fourth RIGSS dialogue on the theme – Rethinking Development: Advancing Human Wellbeing and Protecting the Planet and more so, on His Majesty The King being presented with a Special Award by the UNDP for his leadership in advancing human development and the wellbeing of Bhutanese people. “After a wonderful session at the fourth RIGSS dialogue, I was able to debate the concept of Gross National Happiness and its experiences and its relationship to Bhutan and United Nations’ sustainable development goals and what it means for future development. I had the opportunity of sitting with the Prime Minister and the Leader of Opposition of Bhutan and that for me, personally, it was a moment to capture what makes Bhutan so strong at this moment in time, which is the sense of unity and purpose,” said Achim Steiner. He also said that His Majesty The King not only provides confidence and comfort in His vision and leadership to the Bhutanese people but also to those who look up to Bhutan as a nation that has all the issues on the forefront of the leaders in the country. And he also added that he is reassured more than ever after a few days of spending time in the Bhutan. “Our support and collaboration to work with Bhutan into the future is as strong as ever, if not stronger. I was struck with the numbers of development partners that came to attend the RTM and I want to congratulate the government of Bhutan,” said the UN administrator. He reiterated that United Nations admires the progress Bhutan has made so far with something that began as an idea called GNH to address and balance the way to judge economic development. 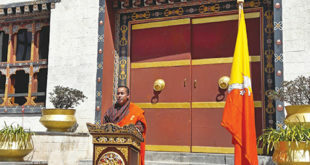 “The time is short and I appealed to the development partners during the RTM that Bhutan’s graduation from the Least Developed Country (LDC) ranks should not be an opportunity for the development partners to withdraw their support, and I instead called on the partners to lean forward to engage as next five years after graduation is going to be critical in consolidation and acceleration of Bhutan’s development. And Bhutan has earned the trust and confidence of the partners to remain integral to its development future,” said the UN Administrator. There are not many countries in the world who can speak with such confidence about their leaderships, and I would like to offer my congratulations to the people of Bhutan, said Achim Steiner.